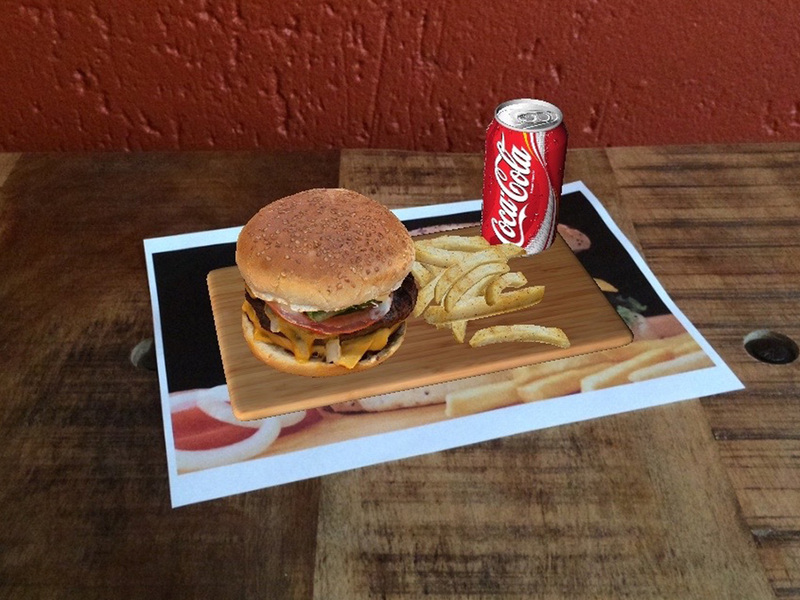 This prototype was created to demonstrate that even flat food menus can be used to show entire meals at 1-to-1 scale. Imagine seeing all the mouth-watering meals right before your eyes. Swap out your drink, change your chip portion size, swap between the different burger types or even customise your very own burger right before your eyes. The tap of a button would add your meal to your bill. A floating price tag could also update as you customise your meal. 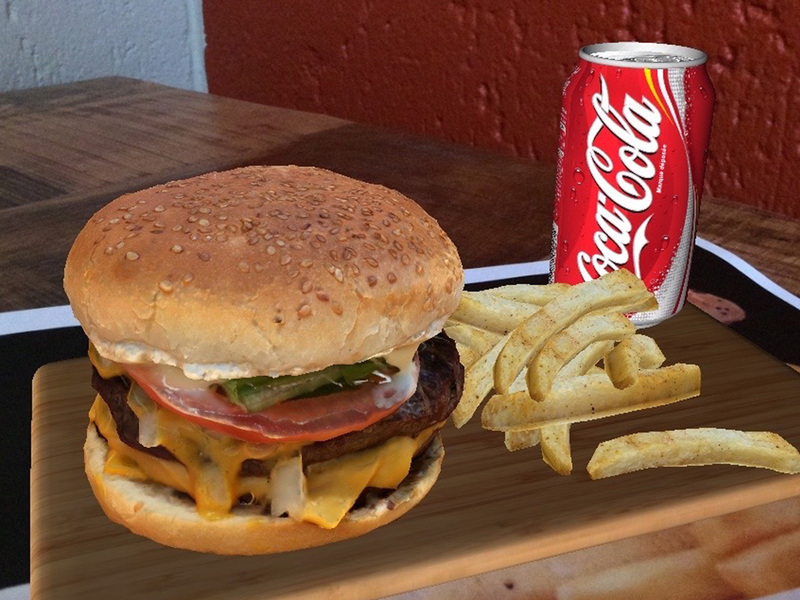 This app could also be used as a competition, whereby consumers at home could be asked to design the ultimate burger, name it and upload the resulting image to Facebook, where people can vote on the best burger. 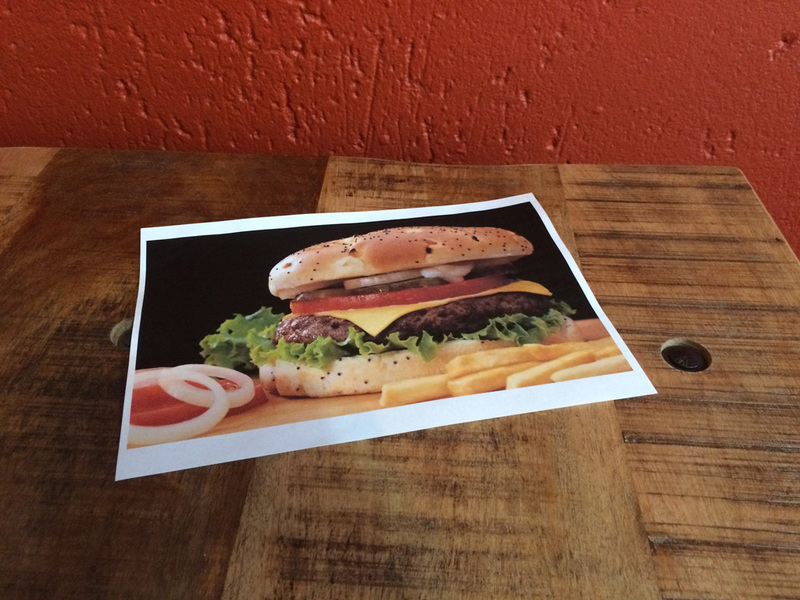 This image could also be automatically branded with the burger franchise's logo, increasing brand awareness.